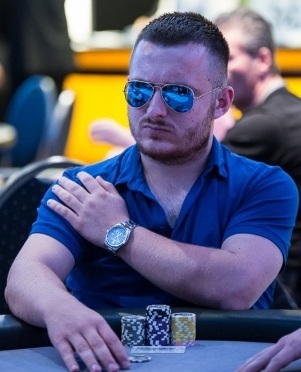 German player “LosNitramos” won the iPOPS-M €50,000 Main Event staged on October 4th, defeating a field of 3,772 players to capture the first place prize of €12,156. A total of €68,650 in cash prizes was awarded; the tournament was the concluding event of the €100,000 iPOPS Micro 2015 series. We had a chance to talk to “LosNitramos” after his tournament win to congratulate him and learn a bit about his poker career. Q: How long have you been playing poker for and how did you start? A: I started playing poker in 2006 - thanks to the James Bond film "Casino Royale". At first I read a lot of strategy books, watched educational videos, and got a lot of advice from friends. When I reached the age of 18, I went to a nearby casino with a friend and played an €80 tournament with over 200 people. This was my first live tournament and I reached the final table and ended up in 5th place. A bit later I also began to play poker online, but I personally prefer live poker because then the skill factor is clearly higher. Q: Congratulations on winning the iPOPS-M €50,000 Main Event! Did you use any special strategy to win the tournament? A: "Find the fishes and play a lot of hands against them." It’s as simple as that. ;) You have to adapt to everything. If there are many players playing ‘safe’ you have to play more hands and collect the small pots. But if you have a table full of aggressive players, you should take it easy and wait for good situations and then try to get the maximum. Very important: position is extremely important when playing poker! Q: Are there any key moments you remember from the tournament? A: There was nothing spectacular. When there were 2 tables left, I was the chipleader. The lead held up well into the final table. When we were down to three-handed play, I was at first far behind. As it came down to heads-up, my opponent had 31 million chips and I had 6 million. However, I knew from previous observations that I was clearly a better player than him and still had a chance. By the end, I had turned things around and won the tournament. Q: What do you plan to do with your prize money? A: I will invest it in my bankroll. Q: Do you have any advice for your fellow players? A:Work always on your game. Every day! You have to constantly innovate when playing poker, and you have to continually develop your skills, otherwise you will be overtaken by others! Q: What feature/promotion/tournament do you really like about Titan Poker? A: The Sunday tournaments and the PLO tournament on Monday.